Had a great time at Gibson’s unveiling of it”s Southern Rock tribute Les Paul Monday night. 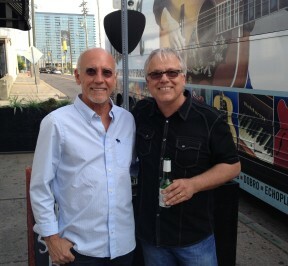 Got a chance to visit with one of my all time favorite guitar players, Larry Carlton. Dickey Betts played as good as I’ve ever heard him play, and it’s always a pleasure to hear Lee Roy Parnell on slide. Good time, good jams. 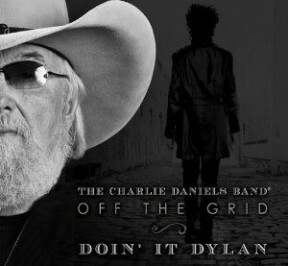 New CDB recording of Bob Dylan tunes. I enjoyed making this record a lot. The whole CD is acoustic instruments. 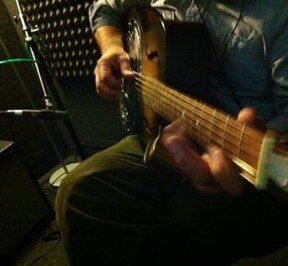 I got to stretch out a bit and play mandolin, harmonica, dobro, acoustic guitar and even a tiny banjo part. Check it out. Hope you like it. Had a great trip to The Big Apple a few days ago. We were promoting Charlie Daniels Band new CD of Bob Dylan songs. 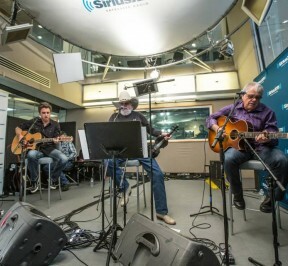 We did a live broadcast from Sirius radio and a couple tunes on The Better Show. The best part was the jam I did with my friend Roy Williams at The Shanty, a gin distillery in Brooklyn. Played some blues and country tunes for a few hour there. Then that evening it was a pleasure to see Roy play Gypsy Jazz at Barbe’s with Stephane Wremble, who wrote the theme song Bistro Fada from the movie Midnight In Paris. Fun to see how the other half lives. Once a month the composers here in Nashville that are taxi members get together and visit, share ideas and listen to new music we have been creating. This months hang was a great night. Heard some superb music. 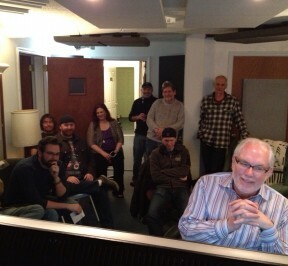 What a talented bunch of folks. Proud to be a part of it. 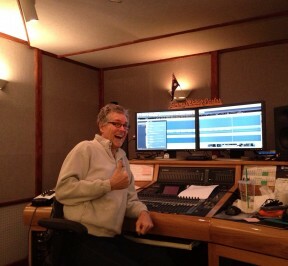 Another good day of mixing tracks at Fett’s place. He’s really good at what he does, makes my job easy. Thanks Fett. 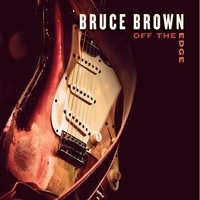 Thanks to a cowrite and favorable introduction by my friend Al Di Cicco, I’m signing a publishing deal with a new music library in sunny California. The music business is a relationship business and I’m happy to be making new friends and new music. 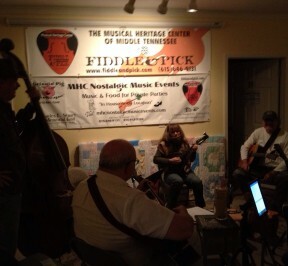 Had a good jam tonight at the Fiddle and Pick in Pegram TN. A great way to learn some old time music. Hoping to apply what I learn here to my writing for TV. Plus it’s plain old fun. Playing tunes with friends in the living room. 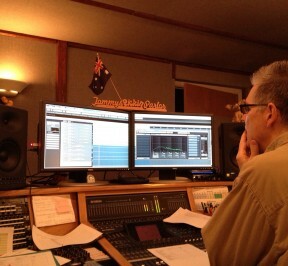 Had a great time at Fett’s studio today mixing a cool reggae track for production music library use. We titled it “Jamaican Head Bob” because the music made our heads bob, plus Bob was a Jamaican head. Get it?